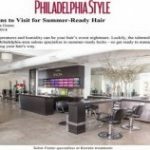 Salon Vanity Relocates What: A breezy, modern space smack in the middle of the Rittenhouse area. 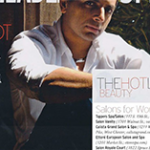 Why: DailyCandy readers get a comp Power Dose treatment (for added shine) with haircut. When: Thru Apr. 30. Mention offer when booking. Where: 1701 Walnut St., 3rd flr. (215-925-2211).